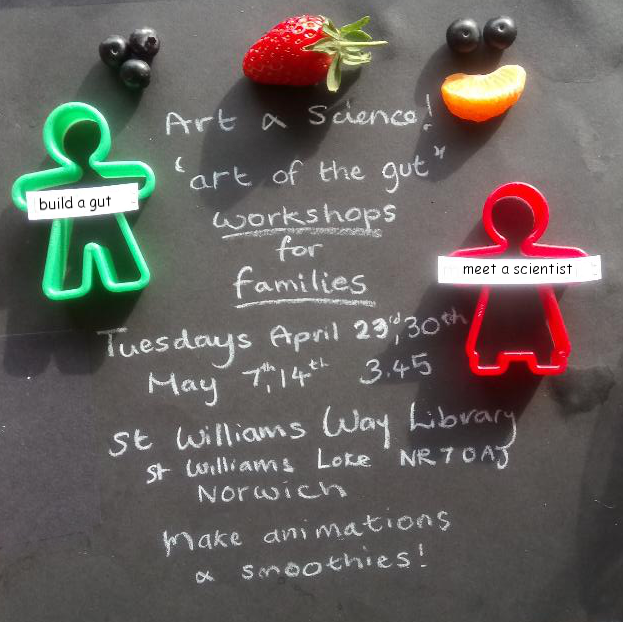 A series of four workshops, making art with the scientists and myself for Norwich Science Festival. Fantastic activites from Quadram Institute and a chance to understand what goes on in your gut, have fun be creative and in the final session make smoothies on a bike. 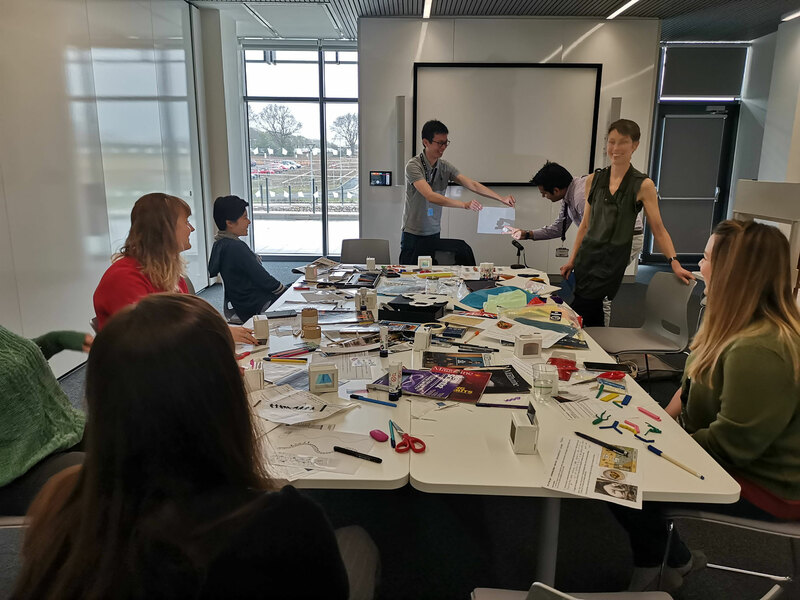 My Arts Council England and Norfolk County Council funded residency has begun, with a pilot workshop for scientists at the stunning new Quadram Institute Centre in Norwich. Nine scientist came from the award winning Lindsay Hall's research group. 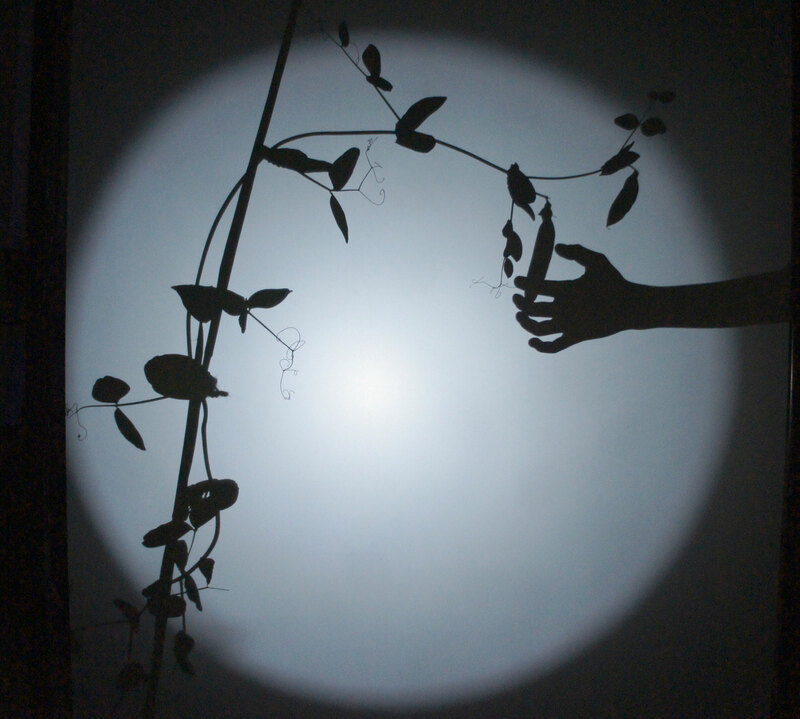 They worked with my mini shadow theatre kits and combined visuals from their own research into gut bacteria in early life with images selected from magazines. I am exhibiting in a group show at an eco centre, The Greenhouse Gallery, Norwich, from July 1st - 19th August, one of a series of exhibitions, exploring the health of our soil. It features my son harvesting peas. 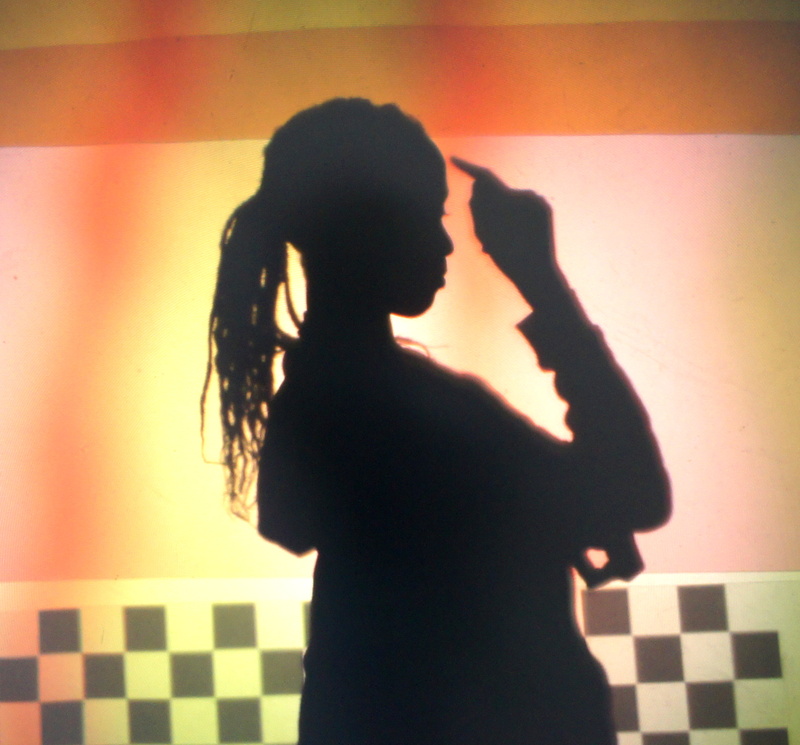 Students had fun performing using elements of British Sign Language within projections inspired by Eduardo Paolozzi exhibition. Saturday's workshop at The Whitechapel Gallery has been postponed and will be available for young Deaf students later in April, contact me for more information.